Econo-rail is a flexible and economical range of pedestrian control systems from Barrier Group Pty Ltd designed for simple installation and high safety. Econo-rail pedestrian control systems are ideal for installation in locations where an attractive and practical solution is required to control the movement of pedestrians. Consisting of surface mount posts and rails in 1, 1.5 or 2-metre lengths, the system comes complete with connectors and fixings. 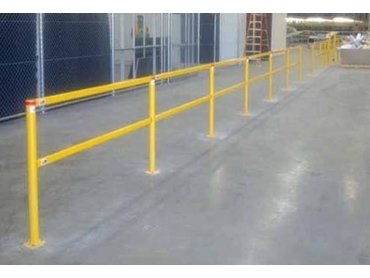 Rails can be cut on site for special length requirements.